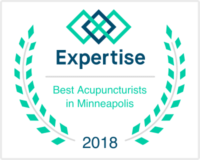 Clients at our Minneapolis clinic are confirming that acupuncture and Chinese medicine treatments offer relief from even the most stubborn digestive problems. Gastro-intestinal complaints account for over 35 million physician office visits a year. Because of the side effects of prescription drugs and their sometimes failed results, many patients are turning to acupuncture for help. It is estimated that IBS (irritable bowel syndrome) affects 9% to 23% people worldwide. Many people are undiagnosed, unaware that they have a medically recognized disorder and have not had any successful treatments for IBS. Truth be told, there is a natural remedy for IBS that has been around for thousands of years. Chinese Medicine has Treated Digestive Disorders Since 3 A.D. 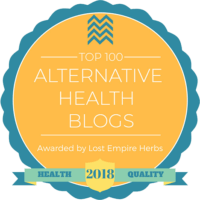 Historical evidence shows that Chinese medicine has been used for digestive disorders as far back as 3 AD, where specific herbal formulas and acupuncture points for abdominal pain and diarrhea with pain are discussed. Symptoms of irritable bowel syndrome (IBS) are abdominal pain or discomfort, bloating and changes in the bowels (diarrhea, constipation or both, alternating). In some cases the symptoms of these disorders can become severe and can impair quality of life significantly. In spite of the high numbers of people this affects, standard medical methods are limited and many have not received successful treatment for irritable bowel syndrome. So many people choose to pursue complementary or alternative therapies such as acupuncture and Chinese medicine. With gastrointestinal disorders, patients are often dissatisfied with conventional options available. Acupuncture can relieve your pain and discomfort and effectively increase internal organ functioning. 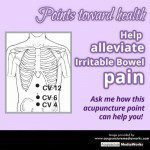 Many people choose acupuncture to cure their abdominal pain, nausea, constipation, diarrhea and bloating. How Does Acupuncture and Chinese Medicine Work Scientifically? A number of modern studies, most of them conducted at China’s leading research and teaching institutes as well as hospital settings, show that acupuncture and herbal medicine can bring about positive internal changes in the human digestive system, including increasing immunoglobulins, T-lymphocytes and serum gastrin. Stress can have negative effects on your gut, causing increased inflammation. Acupuncture can decrease your stress by modifying the nervous system response. 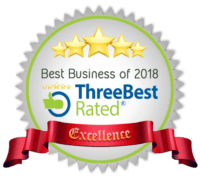 Schedule your appointment for better digestive health TODAY. Call 612-866-4000.